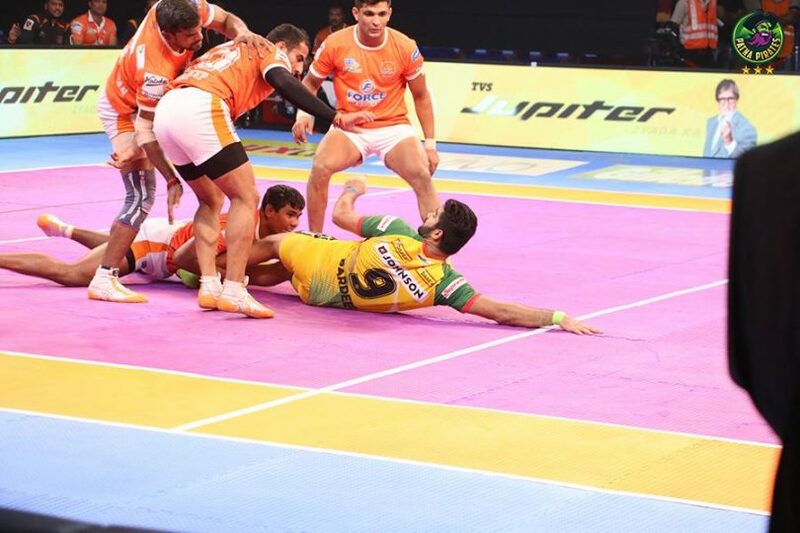 Patna Pirates – a team which is known for their relentless hard work and effort. The team is led by the talented raider Pardeep Narwal, and is coached by Ram Mehar Singh. The pirates are owned by Rajesh V. Shah. They became the previous season’s champions by defeating Gujarat Fortunegiants in the finale of PKL’s season 5. The team skipper Narwal had scored 350 points in season 5 of PKL all of which came in raids, he also went on to score 35 points in a single match once. Needless to say that Patna Pirates are an extremely tough team with 3 league champions trophies under their belt. They are the reigning champions of season 3 in which they beat U Mumba, season 4 in which they defeated Jaipur Pink Panthers and season 5 in which they beat Gujarat Fortunegiants in the finale. The Narwal led team having three titles are currently the three consecutive season champions of the Pro Kabaddi League. And continuing with their back to back victorious reign in the PKL they will be looking for their season six title as well. But with the addition of 4 new teams in the sixth season of PKL it will be hard and challenging and to defend their title they will have to play their best game if they wish to grab their fourth title.